Morels are a rare treat, we splurge on them once a year when they are in season here in Minnesota. I suppose we could try to forage for our own, but when time is short, it's just so easy to go pick them up at the Farmer's Market on the mall over my lunch break ! Usually, I just sauté these with some butter and a little white wine, so I can highlight their rich, delicate flavor, but I bought extra this year so I could try something different. 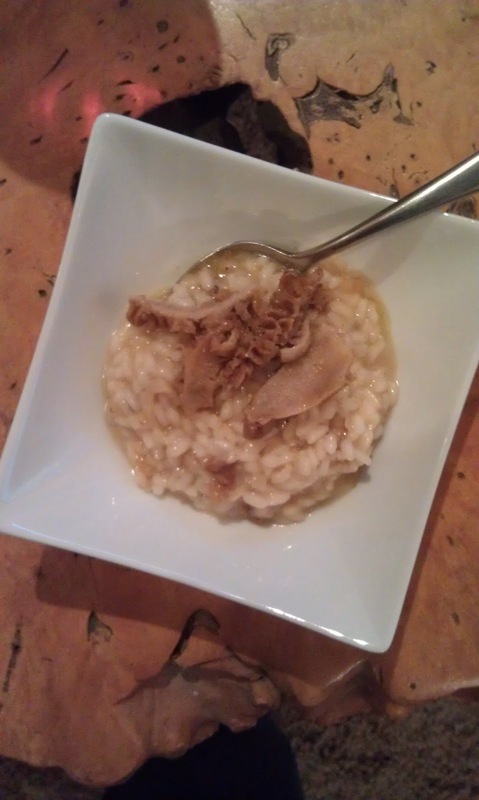 We love risotto, and it seemed like a perfect way to use the extras. This is a traditional preparation of risotto, just with the addition of the morels.